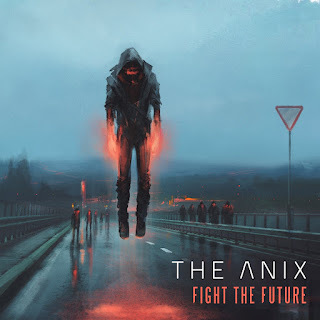 The Anix Releases New Song "Fight The Future"
Los Angeles electronic-rock project The Anix, from composer / producer Brandon Smith, has released "Fight The Future," his debut single on Detroit based independent record label FiXT. "Fight The Future" marks the project's first single from the a new full-length album coming Fall 2018. Crafted around pulsing synths and melancholic verses while contrasted with anthemic vocals over powerful rock choruses, "Fight The Future" combines influences from all of The Anix' previous works and pushes far into the future.